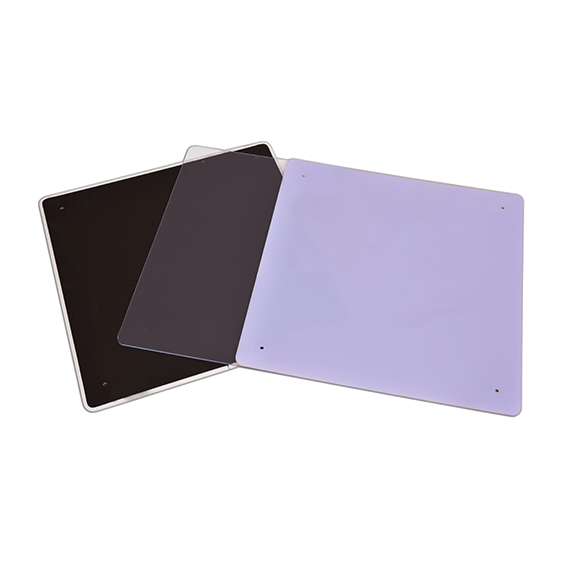 Clear Acrylic. 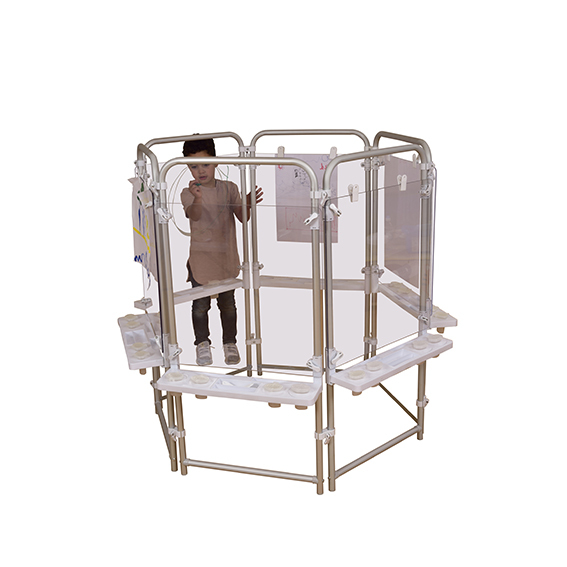 Suitable for indoor/outdoor use. 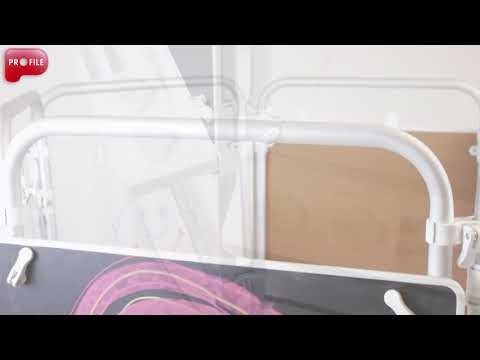 Manufactured from 5mm thick Perspex. 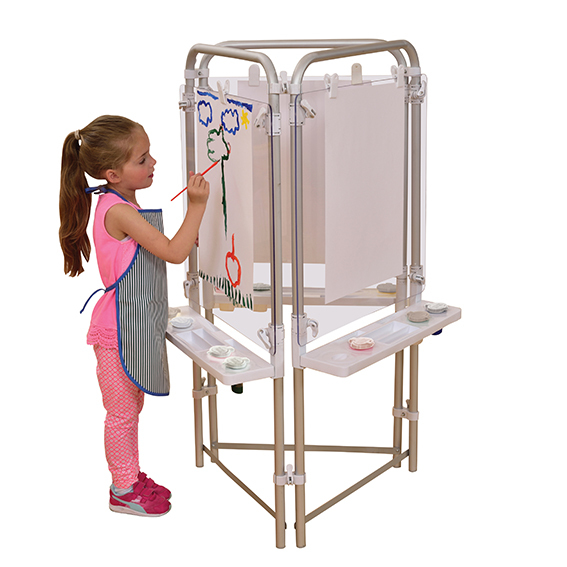 You can paint or use a dry wipe marker pen directly on to the clear board, simply cleaning with a damp cloth when you want to start again! Only suitable for water-based paints. 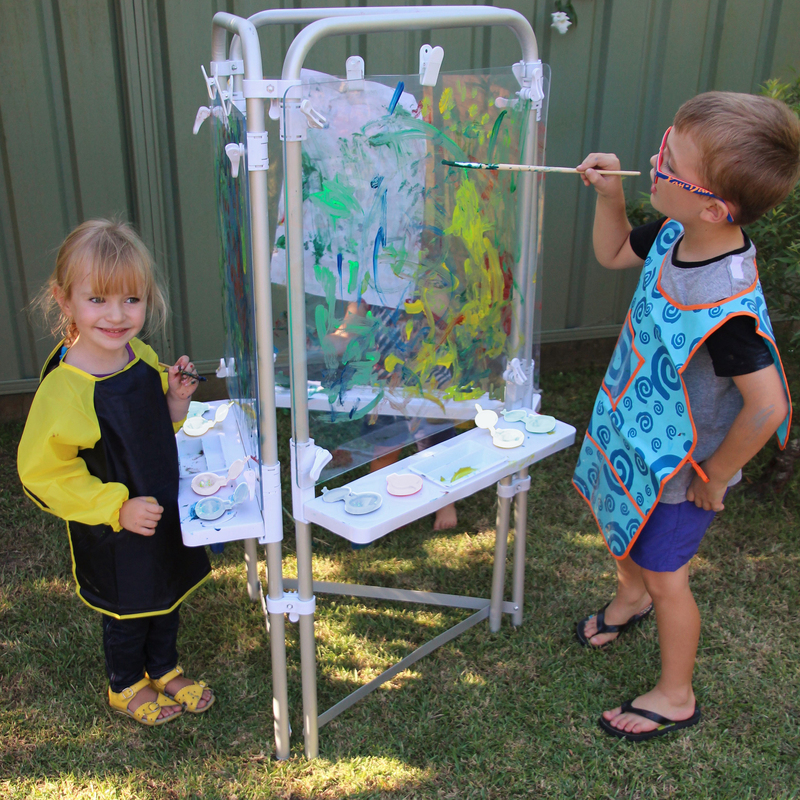 Choose your frame, then choose your easel boards! Mix + Match any combination of boards. 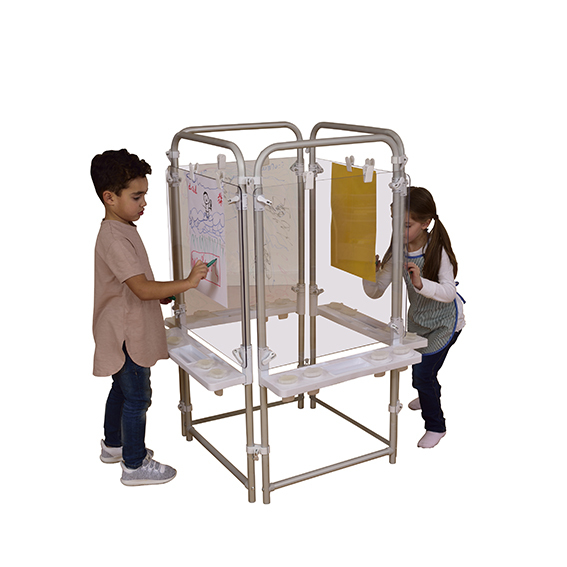 Modular – Easel frames are modular so that you can easily configure 2 to 6 sided easels as you require (for example your 4 sided easel can easily convert to two separate 2 sided easels). 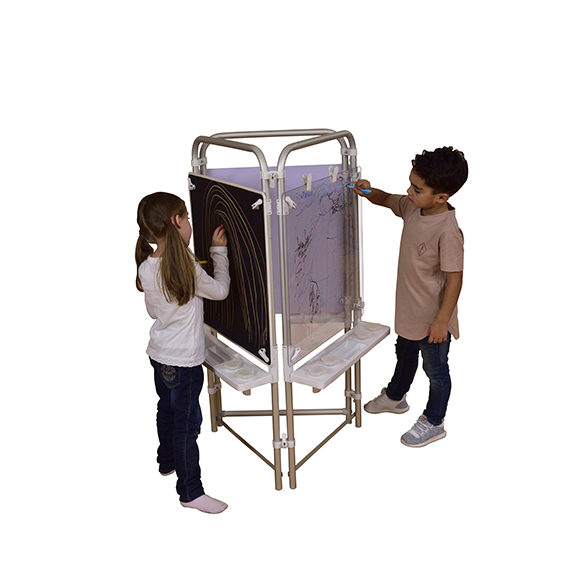 One easel for all ages – Easel frames height is 1220mm – but each easel board is easily adjustable (with just one click) to suit the age and size of your children from as low as 100mm above ground (for younger children). 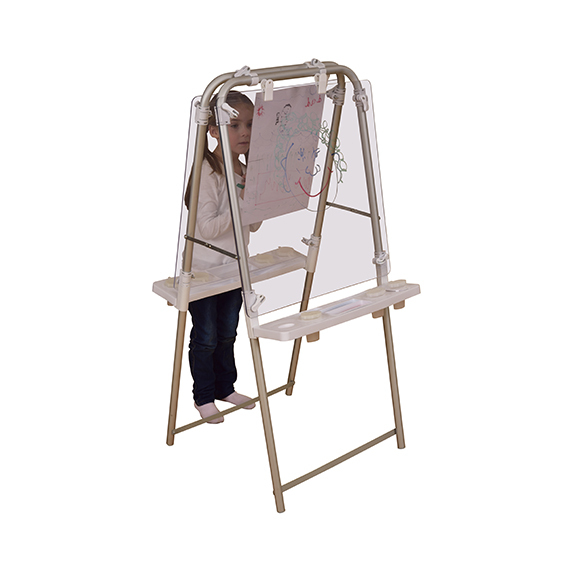 Choice – Choose from 3 types of 600 x 600mm easel board: Clear Perspex (indoor/outdoor) – ideal for painting, White Perspex (indoor/outdoor) – ideal for dry wipe markers as well as painting, and Magnetic Chalkboard (indoor use only) – ideal for both magnets and chalk.